HiQnet is a communications protocol or language with which all device-types within the full audio signal path can communicate. 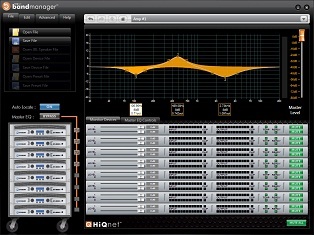 Co-developed and shared by elite engineers from all the brands within the Harman Pro group, HiQnet merges the best features of all previous brand-independent communications protocols and thereby benefits from years of combined experience and is simultaneously optimised for all components of the full professional audio system. The full HiQnet system is configured and controlled with a single software application, known as ’Harman Pro System Architect’. A comprehensive core PC application into which device-specific plugins developed by each Harman Pro brand can be loaded. System Architect has been written entirely from the ground up, to achieve the goal of accommodating all requirements from all the links in a signal chain. ‘System Architect’ has been optimised for use in both tour sound and installation environments and includes features enabling quick and easy system configuration for both disciplines. Today’s HiQnet system is built from flagship products from Harman Pro brands AKG Acoustics, BSS Audio, Crown International, dbx Professional, JBL Professional, Lexicon Pro, Soundcraft and Studer. The HiQnet system is a flexible and intelligent system. The HiQnet protocol is versatile enough to traverse any transport methodology, current HiQnet compatible devices employ serial, USB and Ethernet connectivity. In addition, HiQnet’s compliance with the Universal Plug and Play (UPnP™) standard enables HiQnet devices automatically to negotiate HiQnet network addresses between themselves and device IP address assignment when on an Ethernet network making the HiQnet system truly plug and play. 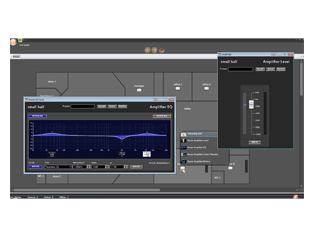 HiQnet control software not only includes all the necessary editing of device and system parameters but also offers the most simple user interface available today for routing of networked audio, however complex the requirements. To assist with this, the HiQnet protocol itself is capable of wrapping around the transport medium employed by third-party networked audio protocols such as CobraNet. Whether in real-time from a device’s default software editor, from an advanced custom-designed control panel running on a touchscreen PC, with System Architect’s optimized mode of operation for control from a wireless tablet PC or from a dedicated hardware touchscreen wall-controller, all parameters from across an entire HiQnet system are instantly accessible … Never before has such full control been at the operator’s fingertips.